I am so excited to share my very first blog income report! I am completely shocked and really happy. I didn't make much, but it doesn't matter to me. This blog is an outlet and a way to connect to other bloggers, so having actual blog income is stunning. First, I recommend signing up for a free live video training about how you can start your blog ASAP and make money from blogging. I am definitely a newbie when it comes to blog income, but I have to start somewhere. I am very proud of my first blog income report! Decide what to write about! There is a list a TON of ideas for you to blog about. Looking back at this report, I was able to quit my job and blog full time, ten months after starting this blog. I am really glad I took a chance and started a blog. I made $13,000 in 6 months of blogging. That’s the best return of investment ever! In January 2015, I bought my blog and decided to get serious and treat it more like a business. I really wanted to make blogging a side hustle that earned me money! While I loved the idea of blogging as a hobby, I really wanted to earn income from it! 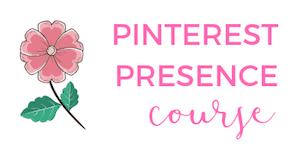 I finally got confident enough to comment on other bloggers’ posts (shy, introvert personality here), joined Twitter and signed up with Pinterest. Using Bluehost, I paid for a domain and a WordPress website, used a free theme and had no idea what I was doing. This was my only expense for my first several months of blogging. Talk about a cheap, low cost to start an online blog/business! I knew I wanted to monetize my blog and earn blog income at some point, so I added Google Adsense onto my website. What is Google Adsense? That's a free, entry level of ads you put on your website to help your blog make money. I read over and over again that blog income from Adsense would take time to build and it definitely has. It is one of the harder ways to earn income, so don't expect to get rich overnight! Ad income comes from traffic to your website. So in the early stages, you will still be growing and won't have a lot of traffic. Thus, low income from ads. But don't give up! As time goes on, you will get more traffic and start earning income from ads! Next, I added a few affiliate links based on products I used. I was comfortable telling someone about a book I read, a blog theme I installed myself and a product I used in the blogging world or real life in some of my blog posts. These companies are like the middle man between you and brands/products. I chose to only add affiliate links that I could 100% recommend to others. By adding a couple products that I recommended, some of my readers ended up purchasing them. This was a win-win! First, I was able to share my experience and give an honest review of something I was using. Second, a reader trusted my opinion and used my link to make a purchase. The reader was able to get the item for the standard price and I was able to earn a commission. How exciting! My First Blog Income Report: Income breakdown! Here is my very first blog income report! I actually earned a little bit more than this during the month of March, but some of the affiliate sales are not paid out until the following month. Because of this, I have decided to only report income when I actually receive payment. My affiliates sources are small, but pretty diversified. As a new blogger, I am starting off slow with affiliate links. I am still learning how to use them, how I can write about them in my blog posts and how to make sure my recommendations help other people! Ebates – This is where you get free cash back when you shop online! You literally get cash back when you make an online purchase. The cashback is deposited into your PayPal. If you want to try Ebates, use my exclusive link to get $10 off your first $25 purchase AND earn cash back. Ibotta – This is another free cell phone app. You use it after you go grocery shopping and use your receipt. It's basically a rebate app, so you can earn anywhere from 50 cents to $5 off everything you buy. My favorite part about this app is that it's not always brand specific, like a lot of coupons are. So you'll be able to scan “any brand of bread” for 50 cents off, etc. If you do coupon – you can STILL use Ibotta and get a rebate. For the diehard couponers out there, this will often result in getting an item for FREE. Crazy, right? StudioPress – You need the Genesis theme to start a WordPress blog. There are other themes out there, but the Genesis theme is supposedly the best theme to use for Google search results. Restored 316 Designs – the pretty theme I use for this blog is called the Darling theme. There are a TON of themes to choose from depending on your blogging niche. I think it's really important to be a part of different affiliates as I don't want to depend on just one source. I actually had two more affiliate sales from different sources in March, but as I mentioned above, they do not pay out until this month so I am not including them in my March blog income report. I did not include my expenses from Bluehost, as I paid for my domain name and hosting a year in advance. I did not have any other blog expenses. Starting a blog is one of the cheapest start-up side hustles you can start compared to other businesses. Yippee! I have no idea what my blog income report will be in April. Part of me thinks this is a fluke and can't be real, so I have zero expectations for April. Clearly I can't quit my day job, but I am still excited that something I love to do earned income. I am just so excited to share my first blog income report. I quit my job in October 2015 to blog full time! You can read about my big announcement here. 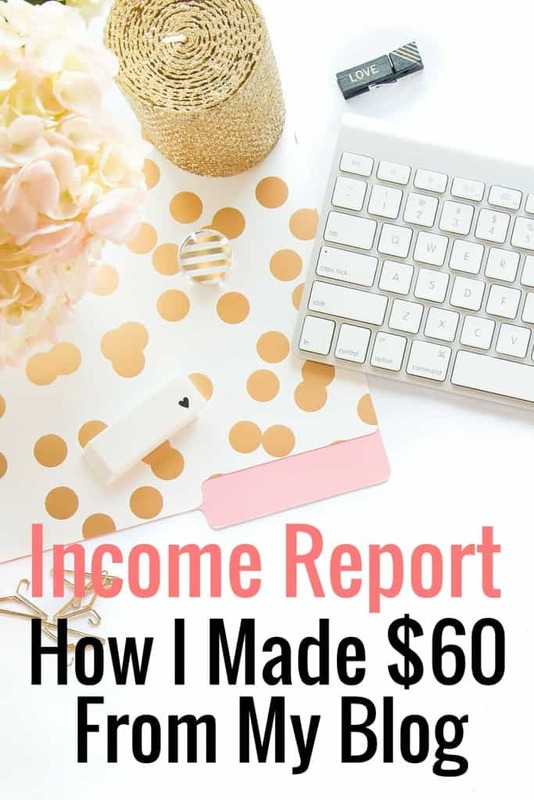 Here are some of my blog income reports so you can see how my income increased each month, how I was able to improve my page views, and start earning consistent income! I'm totally transparent and share what works, how much money I make, what I need to work on and more! Interested in starting your own blog? Scared? First, if you are scared to start a blog, read this blog post on how to overcome your fear of blogging. I bet you are experiencing the same fears that I once was! You can read the post here. Second, read this tutorial on how to start a blog. It gives you blogging ideas, tells you everything you need to do to get started, as well as what to do after you launch your blog. 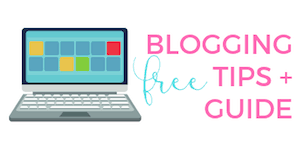 Third, if you are unorganized and just need help with creating blogging goals, this is a FREE blogging goal workbook you can download. I benefited the most from step #5. Forth, If you want to learn more about Elite Blog Academy, you can do so here. It was the first course I took that helped me learn what to write about, grow my blog, figure out my VA biz and create my first course. 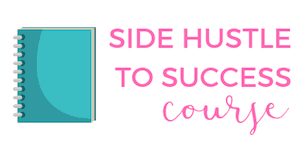 Finally, if you want to learn about more side hustles, check out this list of side hustles you can start for free! Have you thought about how to start a blog to make money? What's holding you back? Did you like this first blog income report? I’m so new to all of this. I’ve always just really wanted to start a blog and never knew where to start. Until I stumbled across your blog. If I’m half as successful as you I’ll be content! Thanks for sharing such personal information and being awesome! Hi there! I would check out this post first on how to start a blog and get everything setup. The best way that I started getting traffic was to start using Pinterest. Here is a case study I wrote about how I went from no traffic to 200,000+ monthly page views quickly. Good luck!